I already have a great pair of leggings and a top from this brand - next up, this dress! After way-too-long wishing for them, I found a pair of these at 60% off! I got a free sample of these months ago, and was unprepared for how awesome they would be. 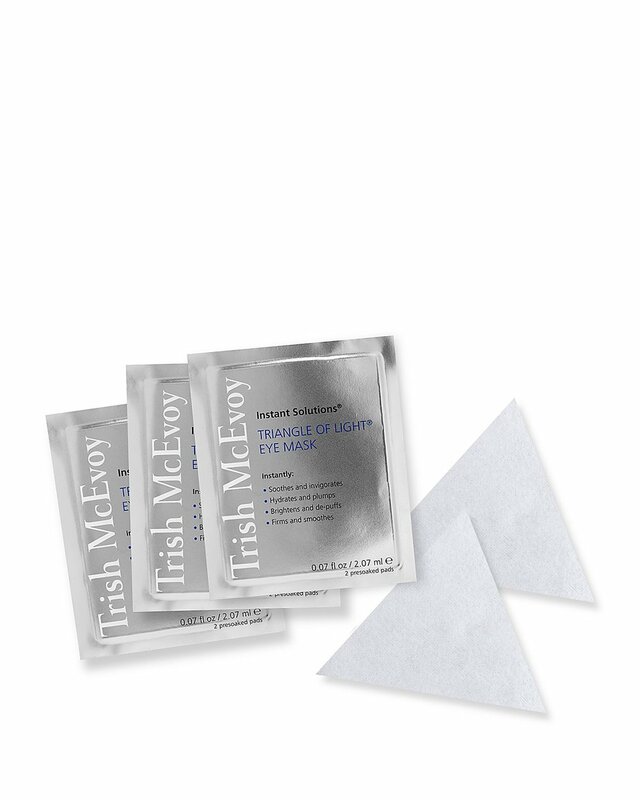 So I'll warn you: your eyes are in for 24+ hours of glowy-level hydration. Make some plans. Just so fun, and such a perfect color that I keep thinking about them. and a solid dopplegänger for this $450 jacket by FRAME. A few NYC coffee shops have these, and I think they're probably the world's best coffee spoon. Close your eyes, summer-loving people, because this sweater is autumnal perfection. I've been stalking it for a while, and I think this fall I'll officially give in. 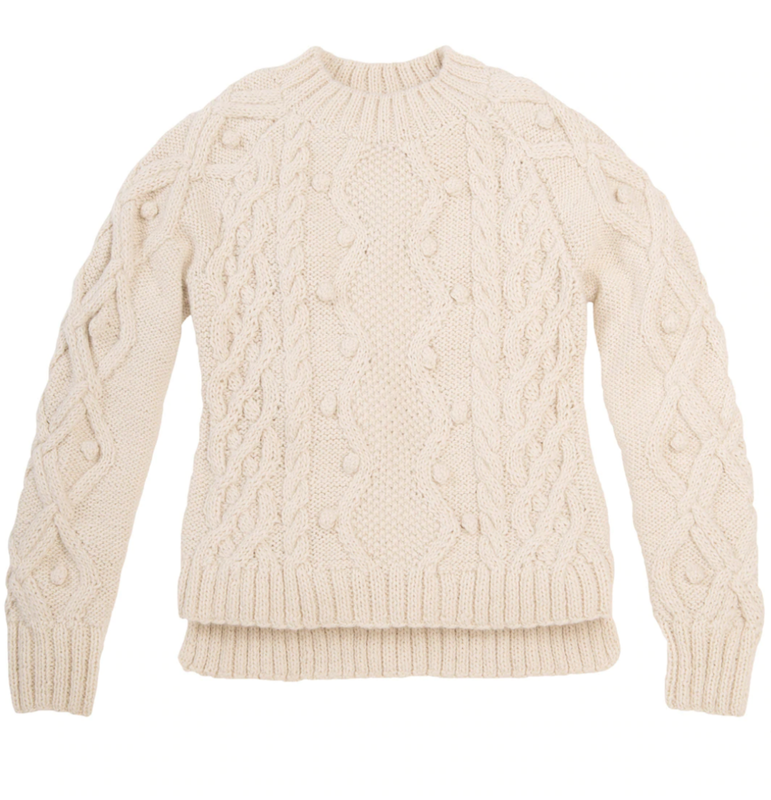 Plus, ERLŪM is a small women-owned company whose alpaca knits are sustainably and ethically sourced and produced. So yes, this is the perfect fall sweater. After three seasons of wear, my linen wedges are on their way out, and I'm planning to replace them with these - when they're on clearance at the end of the season. 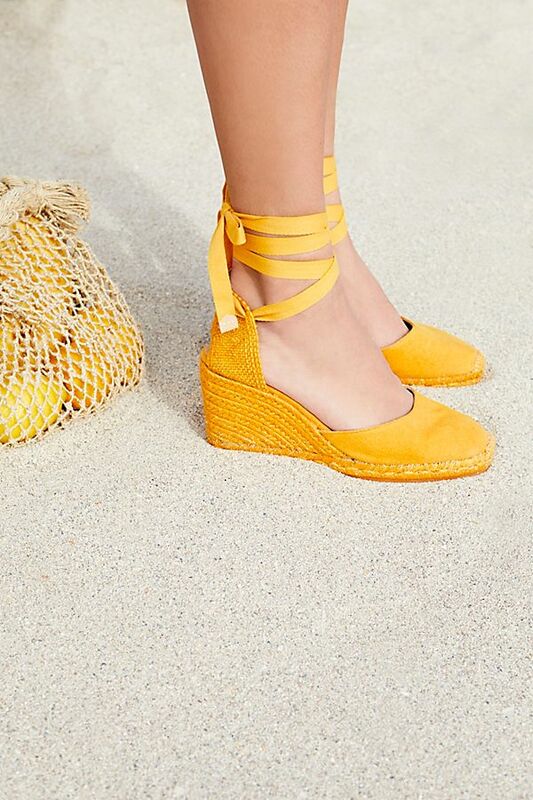 More great espadrilles here. I change up my shampoo/conditioner constantly, and this one is next on my list. It's meant to be best for wavy hair - not truly curly - which is right where I'm at. Small square scarves are so versatile - wear one in your hair, around your wrist, tied onto a bag - and this polka dot print is perfect for pretending you're a 1950s movie star. These Aquazzura pumps will probably sell out before they ever go on sale, so I'll just admire them from afar. 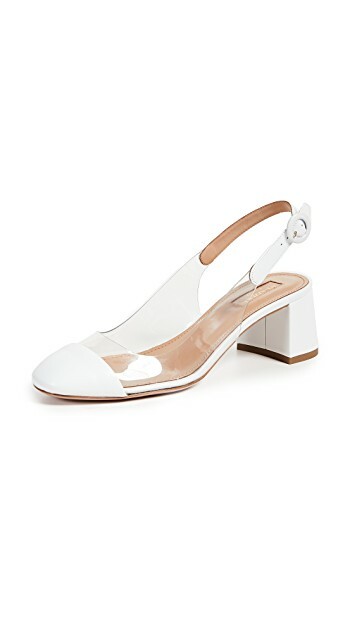 Aren't they a wonderfully modern take on those classic Chanel shoes?